In 1989 only 3% of the UK’s population were vegetarian, but now the trend's more mainstream than ever with recent polls showing a 9% increase in meat free eaters! So why are more and more people abstaining meat from their diets? A Spatone survey found that vegetarian junkies made the change mainly due to their protest against animal cruelty (67%) and the texture and taste of meat (45%). But what about all the wonderful health benefits that vegetarianism has to offer? Robert says, “Vegetarian and vegan diets are more likely to contain a higher amount of fibre-rich whole grains and pulses. Fibre is often lacking in the typical UK diet with many failing to achieve the recommended 24g per day”. But as a veggie, the star of your dish is no longer meat which gives you more opportunity to indulge in other foods like fibre rich vegetables, pulses and grains which is shown to reduce the risk of certain cancers and heart disease! Erm, yes, please. Farmers have been feeding animals antibiotics for as long as we’ve been eating meat. Why? Because somehow it makes them put on weight, which means more money in their pocket. Shona says, “Antibiotics can be given to animals on a preventative basis and are used commonly in intensive livestock production. This may increase strains of resistant bacteria that are then passed on to those who eat the meats (i.e. YOU), as well as passing on traces of the actual antibiotics”. The problem is, if you happen to become ill from improperly cooked meat you may be immune to antibiotics as a form of treatment. Note, organic farming doesn't allow the routine use of antibiotics so if you do eat meat, choose organic! Compared to the amount of nutrients found in fresh foods meat is pretty incomparable. But believe or not, many popular veggies contain plenty of protein! Which many people think it lacks. ​So the more natural whole foods you consume the more nutrients your body will get. If protein's what you’re worried about go for a complete protein like quinoa which contain similar amounts to that found in animal produce. The vegetarian diet may have benefits to ‘alkalinity’. Shona says, “This is based on the theory that the food that we eat can affect the pH balance of our blood, which can in turn affect our health. The high blood acidity that affects our pH has been linked to poor health and increased risk of degenerative diseases. 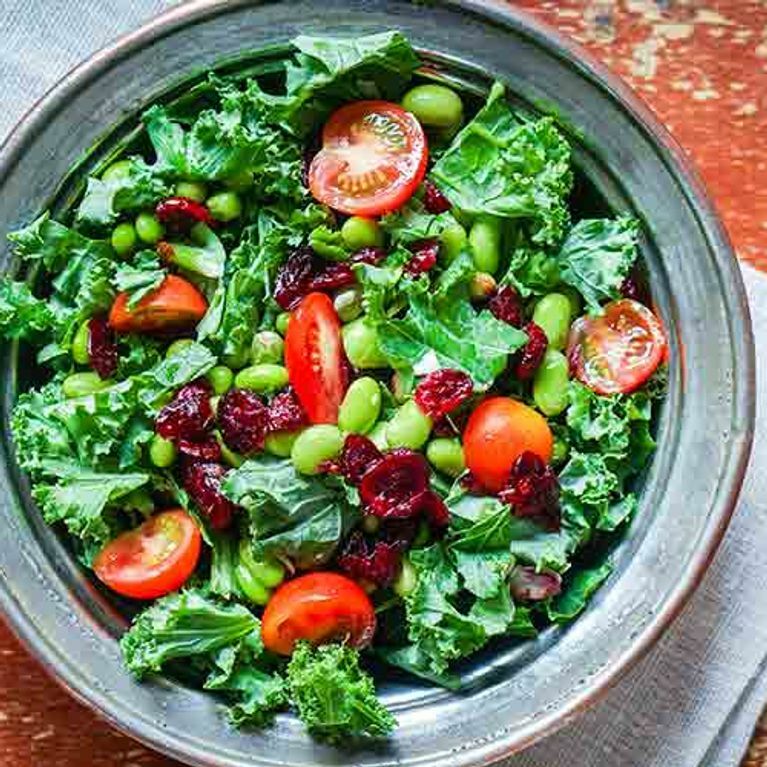 However, Shona says the foods thought to promote alkalinity are mainly vegetables (especially green vegetables) and fruits, as well as some whole grains, nuts, seeds and pulses.” So get munching on your greens! Maybe it’s the pass ups of kebabs and burgers but ask a newly turned vegetarian how they feel now that they’ve turned and they will probably tell you they feel lighter, healthier and younger than ever! “Research shows that a vegetarian diet is associated with a lower incidence of obesity, heart disease, high blood pressure, type II diabetes, some diet related cancers (such as bowel cancer) and diverticular disease (develops from a lack of dietary fibre)," says Robert. The bottom line? Red and processed meats are high in saturated fats, which leave your heart fighting off the consequences. However, on a plant based diet, it's a totally different story. With the low intake of saturated fat and the richness in vitamins and minerals you’ll be reaping all the cardiovascular benefits it has offer. Sometimes changing your eating habits is all you need for better health. Research has shown that a healthy diet high in fruit and veg and low in saturated fat is the perfect combination for an optimal immunity. But beware! If you’re vegetarian make sure to consume a wide variety of fruit and veg, nuts, grains and pulses so you know you’re getting the most out of your diet. In comparison to fruit and veg, meats are often high in saturated fat leaving you way more likely to gain weight and hell of a time trying to burn it off. What other benefits do you know about vegetarianism? Tweet us @sofeminineUK!